Published on October 17, 2017. Greater Shepparton City Council, in association with the Greater Shepparton Heritage Advisory Committee, have recently announced a ‘Greater Shepparton Heritage Open Day’, to be held on Saturday 28 October 2017 between 10am and 4pm. The day aims to increase awareness of Greater Shepparton’s diverse and unique range of heritage places, and encourage pride in and understanding of this heritage. Over 40 places of heritage and historical significance within the municipality will be free to visit during the day, with some never having been open to the public before, and many rarely on view. Other familiar places will come alive as you visit and hear their stories. Below we have highlighted a handful of places that will be open on the day, with wording extracted from the Greater Shepparton Heritage Open Day brochure alongside additional photographs from our archives and from the State Library of Victoria image database. 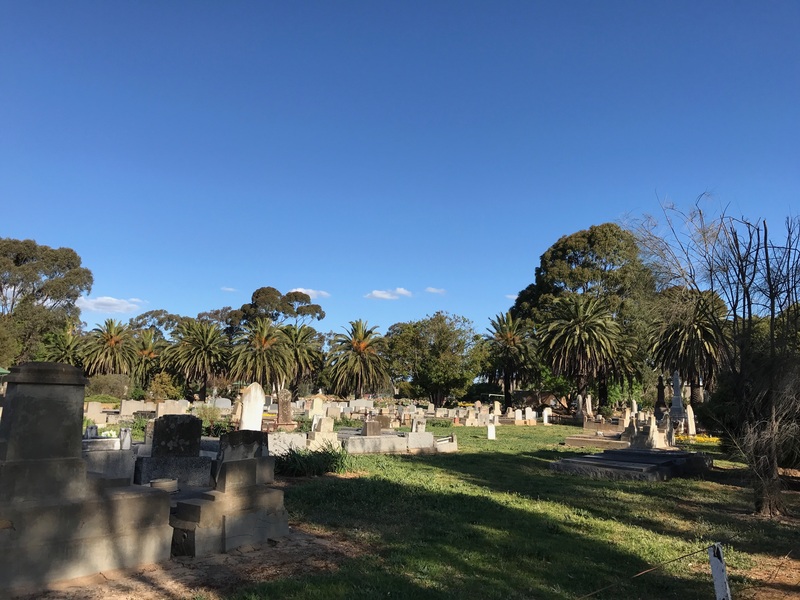 The sites we have highlighted below reflect a range of themes relating to Victoria’s heritage, including nineteenth century colonial history, Aboriginal cultural heritage, industrial heritage, social significance, migrant history, and natural heritage. To download the full brochure highlighting the sites and places that will be open on the, please click here. For more information and to book one of the tours, please call: 5832 9730. 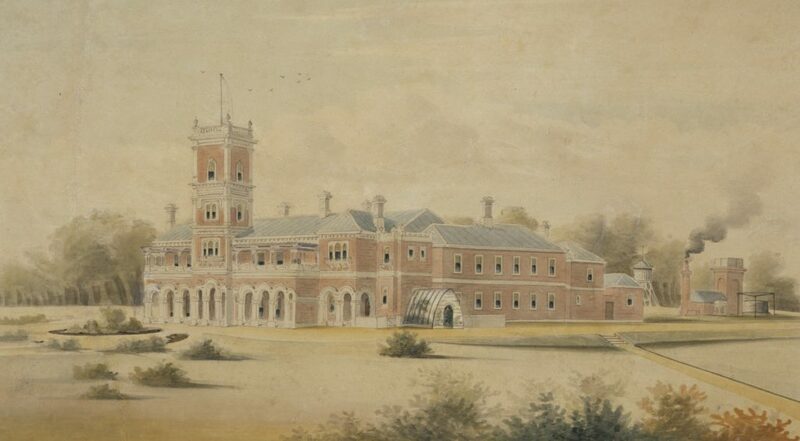 A significant mansion in the Greater Shepparton region, built in 1877 by one of the four Winter brothers, northern Victoria’s answer to the squatters of the Western District. James Winter became the local squire, but hardly lived in the Italianate mansion, dying outside London on a visit in 1885. Home to German officer POWs in WW2. Now part of HM Prison Dhurringile. Listed on the Victorian Heritage Register. Dhurringile, c. 1876, William Tibbits, Acc No. H2002.114,Courtesy of State Library of Victoria. Murchison. 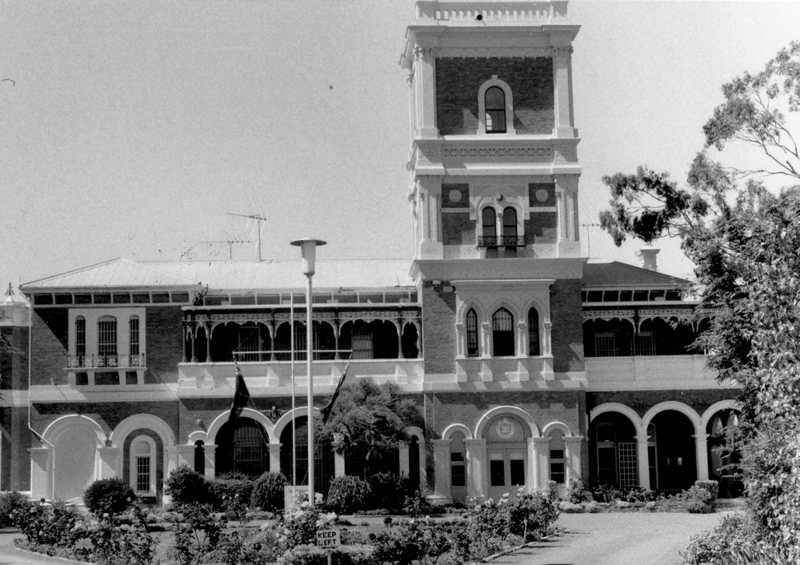 Dhurringile Front, c. 1986, John T Collins, Acc No. H98.250-910, Courtesy of State Library of Victoria. 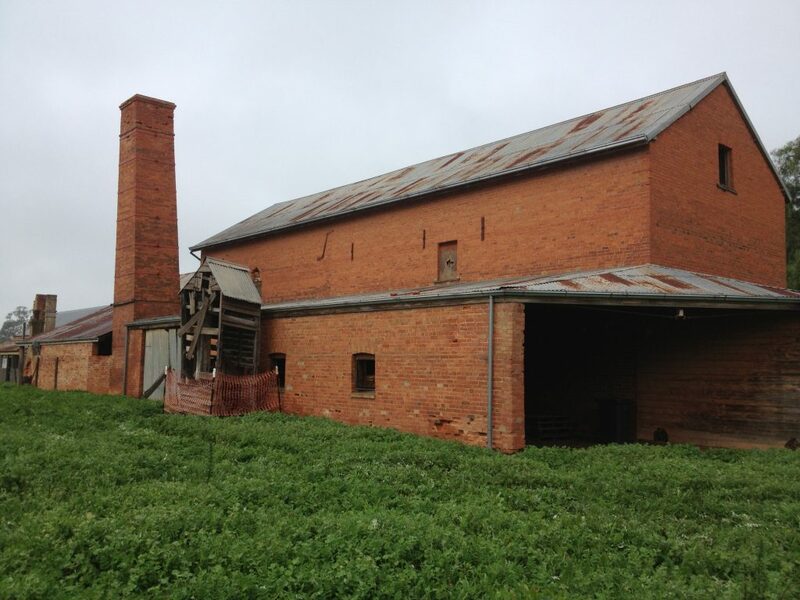 Days Flour Mill Complex, Days Road Murchison South, tours 11am, 12noon, 1pm and 2pm. Open: 10am-4pm. The finest example of traditional milling technology in working order in its original setting’ in Victoria, and probably Australia. The three storey brick mill of 1865 and later granary extension, the flanking two-storey brick residence, the evocative collection of farm buildings, and the peppercorn- and pine tree-lined drive from the gatehouse comprise an unforgettable heritage site. The site is currently owned and managed by Parks Victoria. 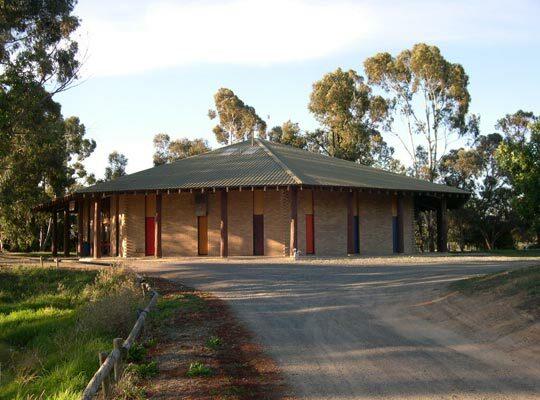 Designed by prominent Australian architect Frederick Romberg and opened in 1982 as part of the International Village, the Centre houses an important collection of Indigenous cultural items from the local area and beyond. As the first Aboriginal managed museum in Victoria to be planned, the Centre is a tangible symbol of the shift of attitude in society from the idea of assimilation to self-determination. Bangerang Cultural Centre (exterior), Courtesy of RBA Architects, source: http://www.rbaarchitects.com.au/projects/museums/bangerang-cultural-centre/. 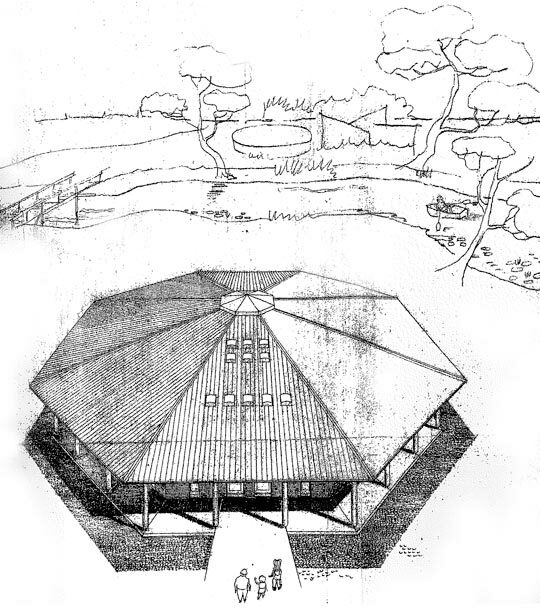 Axonometric by architect Frederick Romberg, Bangarang Cultural Centre, Courtesy of RBA Architects, source: http://www.rbaarchitects.com.au/projects/museums/bangerang-cultural-centre/. 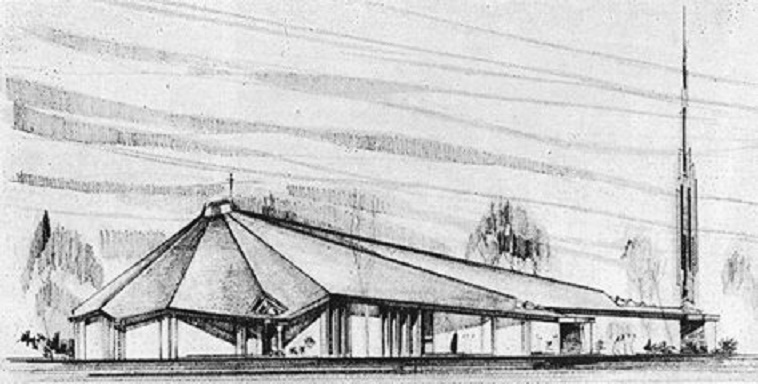 Elevations, Bangarang Cultural Centre, Courtesy of RBA Architects, source: source: http://www.rbaarchitects.com.au/projects/museums/bangerang-cultural-centre/. 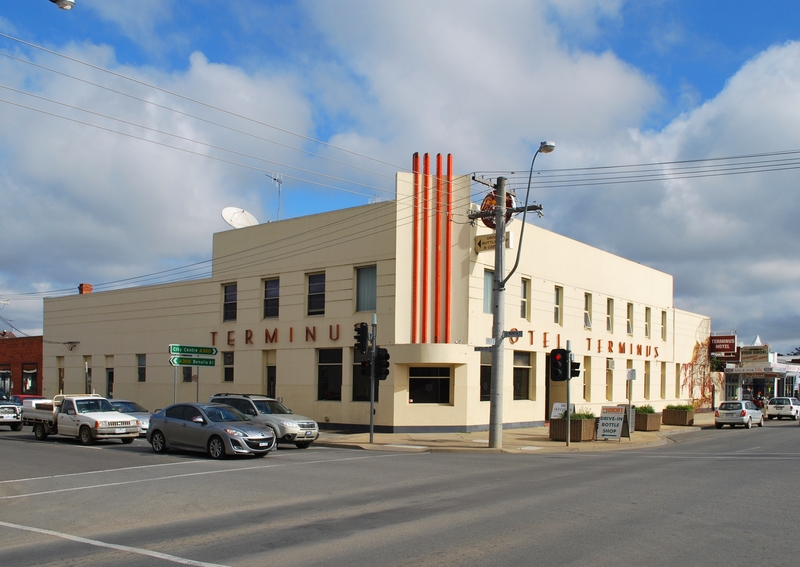 Old Cool Rooms, SPC, Andrews Fairly Ave, Shepparton, Tour 10am, Bookings Required. BYO torch. 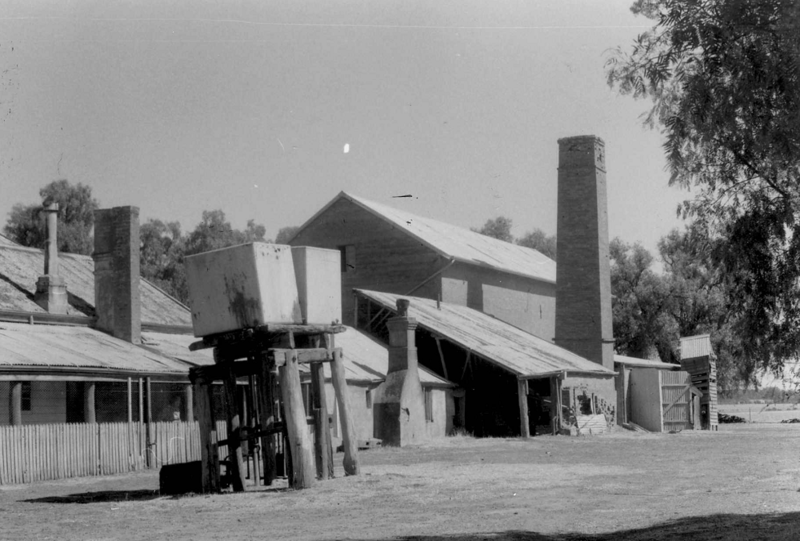 Visit SPC’s oldest remaining cool stores, an historic section of Shepparton’s iconic enterprise. Heritage technology! ‘Shepparton Fruit Preserving Company’, ca. 1925-40, Charles Daniel Pratt, Acc No. H91.160-1736, Courtesy of State Library of Victoria. 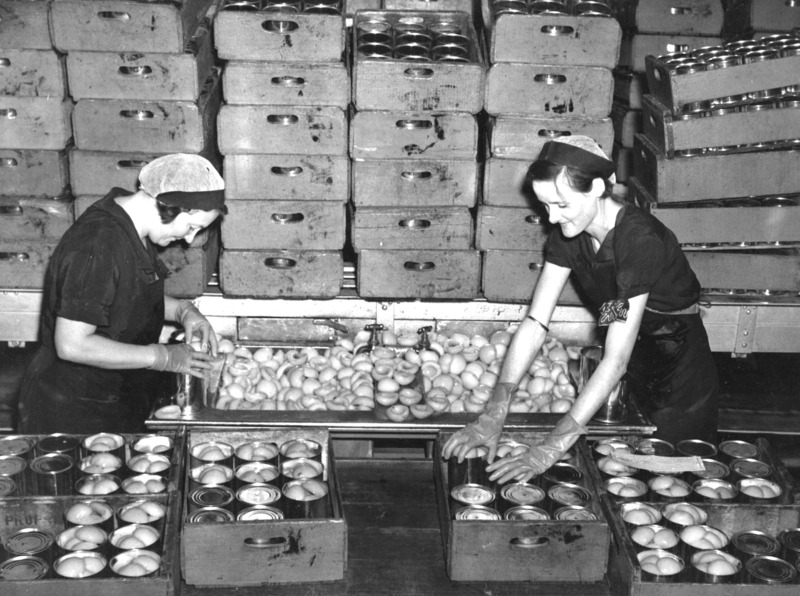 ‘Canning peaches at S.P.C. 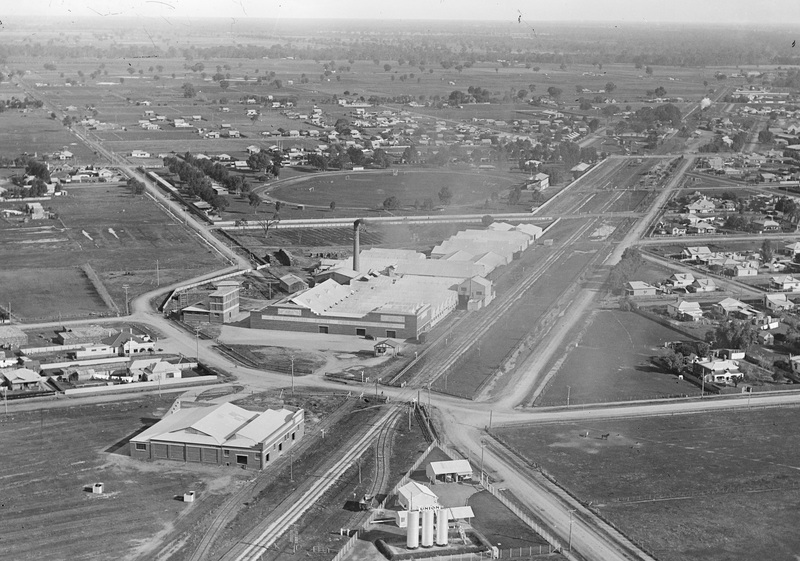 Shepparton’, ca.1920-1950, Rural Water Corporation Collection, Accession No. rwp-33140, Courtesy of the State Library of Victoria. 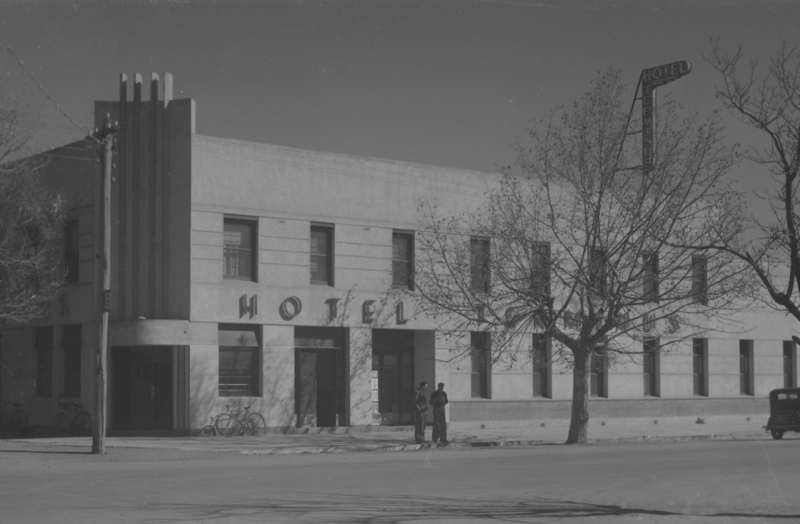 This c.1885 railway hotel was thoroughly remodelled in the Moderne style in 1938 by prominent Melbourne architects, JF Ballantyne and Roy Wilson, who extended the ground floor and added an upper storey. 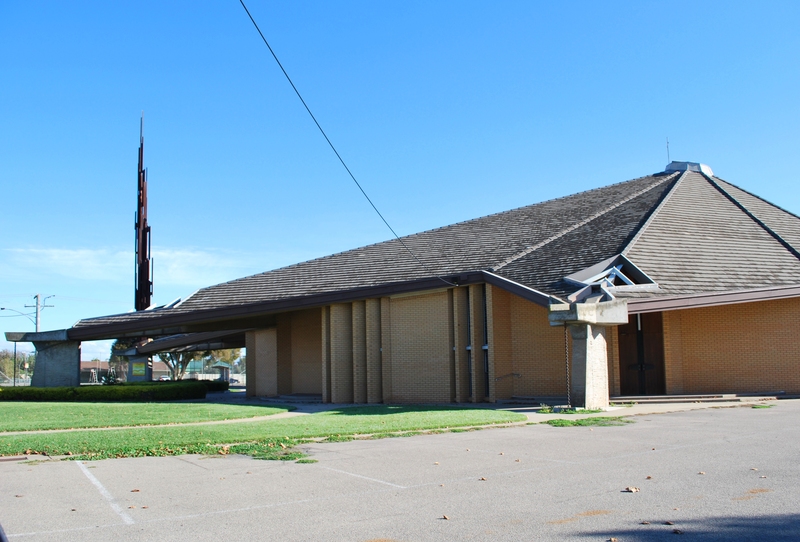 Shepparton’s second Catholic parish erected this distinctive futuristic church, by Triesteborn architect Ermin Smrekar, in 1970. It catered to the influx of Italian migrants as Shepparton expanded.The spaciousness of the interior is striking. 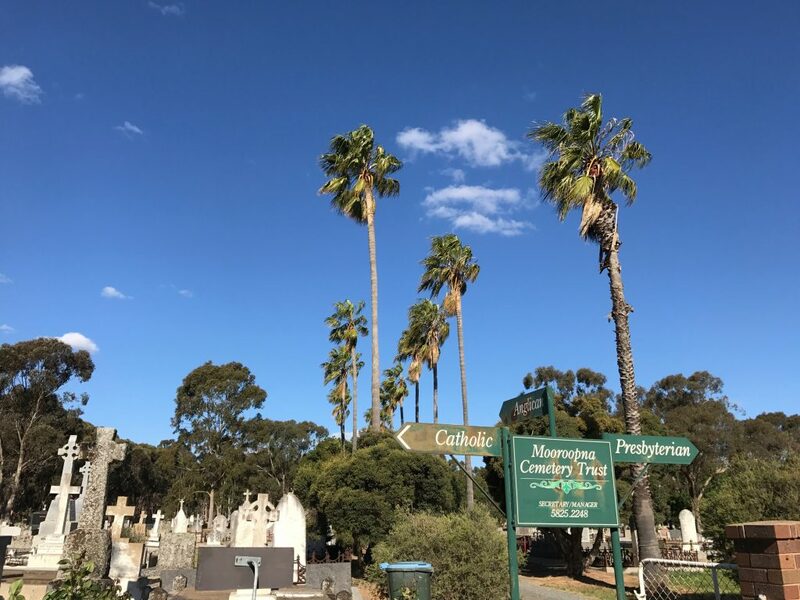 This fine cemetery, with its stately avenue of cotton palms, includes 19th century graves of ethnic Chinese and the unmarked graves of 938 persons of many nationalities who died between 1881 and 1944 in the Mooroopna Base Hospital.